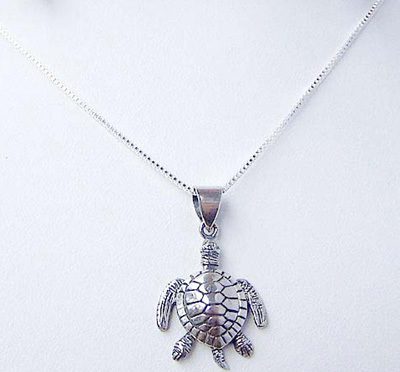 This stunning Sea Turtle Necklace is made of the finest quality sterling silver. A beautiful and unique piece of jewelry that is sure to be treasured and adored by all. Velvet pouch and Gift Box Included! SET INCLUDES 16" box Chain and a Pendant. Pendant dimension: 0.75 inches W. x 1.25 inch H.